HW #39: Worksheet Side 1: ¿El pretérito o el imperfecto? // Worksheet Side 2: ¿Pretérito o el imperfecto? Warmup: Grumpy old man "When I was younger..."
HW #38: Pick any 8 of the verbs from the list below and create a conjugation chart for the imperfect forms. This is the word bank for your test Friday! 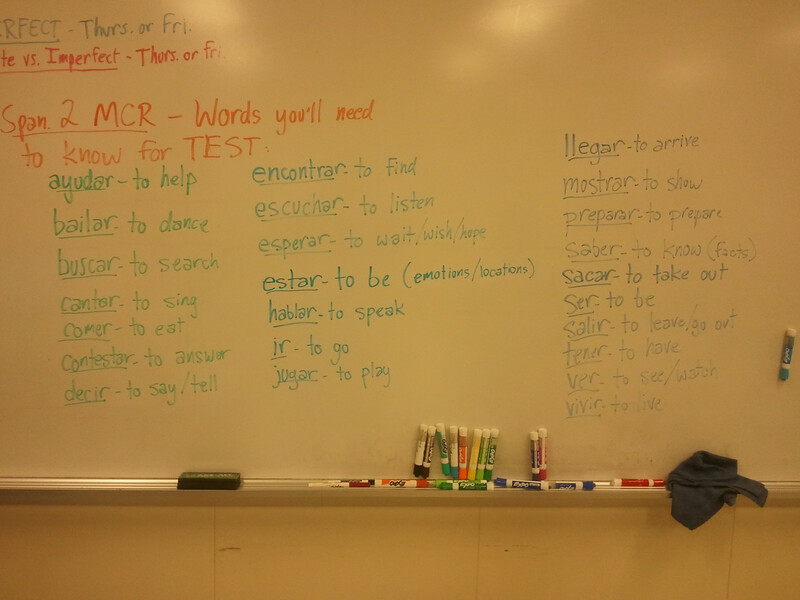 For HW # 38: Pick any 8 of these verbs and create a conjugation chart for the imperfect forms. Don't forget: Your test on the imperfect is FRIDAY! HW #36: Worksheeet "Cuando era niño(a)..."
HW #37: Make a list of the products, perspectives & practices you observe over the Thanksgiving weekend.